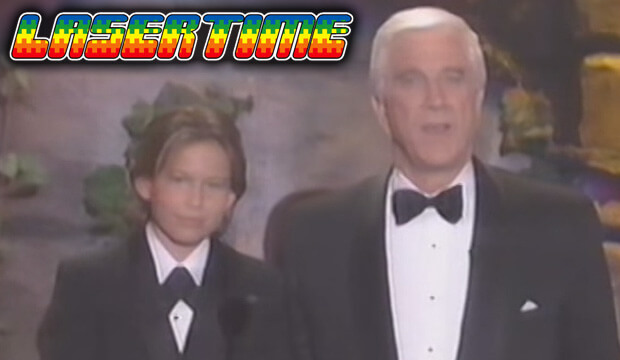 Worthless statues, celebrity navel gazing, and an extended look at the weirdest one-and-done video game awards show of 1994! 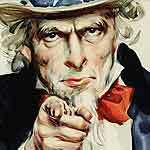 Laser Time is Growing, and We Want YOUR Articles! 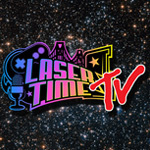 If Laser Time was Shaquille O’Neil, this would be a slam dunk, except for hilarious podcasts! Absolutely first rates and copper bottoms, gentlemen! All-Star Battle is in the recently released list! Wow what is Jonathan Taylor Thomas doing now? Cant wait to listen to this episode. Can one consider the WWE Slammys to be a stupid award show? Or am I to wait for Cheap Popcast for the open-ended discussion on that? Why does no one like FF12? Maybe I was just so starved for FF after not playing 11 but I really enjoyed it. I personally didn’t love playing FF10 and feel like it was far too linear. 10 and 13 are very similar, in my opinion, and they are my two least favorite entries, outside of the online games which I did not play (along with 1, 2, and 3 which I also did not play). I like FF12 as well, I don’t LOVE it, but I think it’s a good entry for the series. It got a bad rep for trying a different style of combat, it’s still way better than the dung pile that is FF13 though. Listening to people at award shows talking about and joking about thing they don’t understand/care about always makes me cringe. Dark Souls 2 is great, if my level 400 character is anything to go by. I liked Final Fantasy 12.. I could listen to you guys rip on country music for a whole episode honestly. Being from Calgary makes country music unavoidable and unbearable, especially during the summer when the Stampede is happening. Living in mexico, my exposure to country music was non-existent, but I still find most of it unbearable. This is weird – there are several Canadians involved in this production. I wonder why that is. This show is before my time in the industry, but I’ve even dealt with Sue Brophey, the director. Oops… I’m referring to the Cybermania awards. I remember enjoying award shows when I was younger. They were a nice break from the normal network TV I was watching at the time. As I got older though, I stopped tuning in as much and now I only watch this stuff while hanging with family or through clips that get played on the local news. Time to get my fix!